AN AUTISTIC MAN who beat his mother to death has been found not guilty of her murder by reason of insanity. Bijan Afshar (23), was accused of the murder of his mother Lynn Cassidy (50), at her home in Deepdales, Bray, County Wicklow on 26 or 27 June 2014. He pleaded not guilty by reason of insanity and yesterday the jury of six men and six women delivered a unanimous verdict after less than one hour of deliberation at the Central Criminal Court. 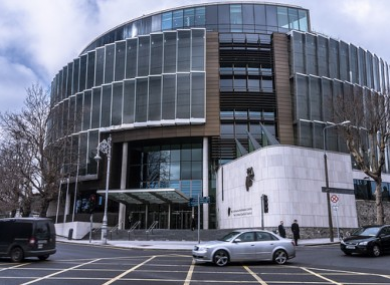 Mr Afshar, who beat his mother to death when she told him she couldn’t prevent the sale of the house he shared with his father, was committed to the Central Mental Hospital in Dundrum. Justice Isobel Kennedy said Mr Afshar should be examined by an approved medical officer who will report to the court on his condition and ongoing treatment on June 8. In his closing statements to the jury defence counsel Michael O’Higgins SC said that this was a “very sad case with a sad background narrative”. He reminded the jury that two consultant psychiatrists had given their expert opinion that Mr Afshar was not in control of his actions and “unable to refrain” from killing his mother at the time. He said this case was unusual in that both the prosecution and defence are in agreement and both urging the same verdict. Presiding judge Justice Isobel Kennedy said there was no evidence in the case that would refute the expert witnesses. She added that while the jury is free to come back with a verdict of guilty of murder or not guilty of murder, any finding other than not guilty by reason of insanity would be “open to criticism”. When the jury had delivered the verdict, Justice Kennedy thanked them for their service and exempted them from jury service for 15 years. Email “Man who beat his mother to death found not guilty by reason of insanity”. Feedback on “Man who beat his mother to death found not guilty by reason of insanity”.